Its November already, the year is almost over ! My goals this month are going to take a lot of planning. I have some what of an idea of what I want to do for them its just gonna be a little time consuming . Because of my work schedule I will be having my thanksgiving dinner on Black Friday . I want to do a fashion post on my blog this month I just need to find the time to set up the session to get some great pics. 25 days of Christmas . A post everyday leading up to Christmas if I start now I know I can get them all taken care of. I have a weight loss happy planner , planner that I barely write in but I want to stay on track with keeping up with my meals. I have a new vision for PIB next year and I have so many things to get done before then I can't wait for you all to see them . 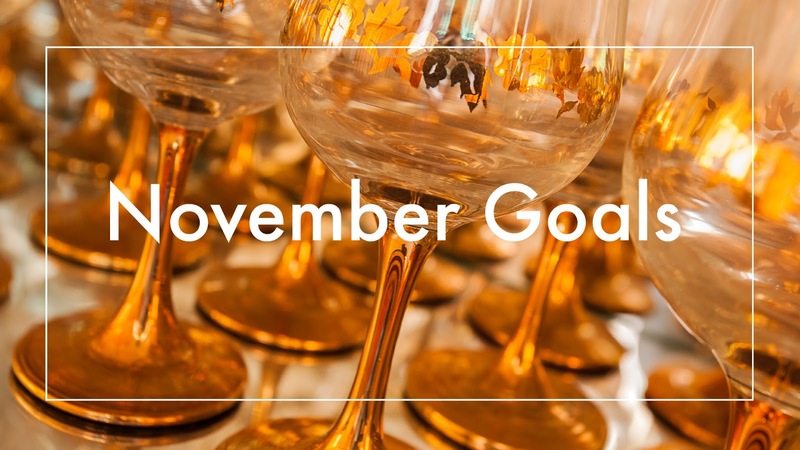 What are your goals this month ?